AdventureX 2018 Kickstarter Goes Live! AdventureX will return on Sat 10th and Sun 11th November 2018. The UK’s only convention dedicated to narrative-driven gaming will be back in London for a weekend dedicated to interactive fiction; exploration games; visual novels and more. This June/July, we are running a Kickstarter Campaign to raise funds for the event. For the first time in 2018, AdventureX will be a ticketed event. The best way to get a discounted weekend pass is to support our Kickstarter, and also receive rewards including AdventureX Journals and Mystery Steam Keys. Please read our announcement for more information about the reason behind this decision. We’ve opened applications for Speakers, Exhibitors and Volunteers. Get involved! Applications will close a few days after the Kickstarter, on July 31st, and we will announce our full schedule in early October. This year AdventureX have partnered with the British Library as part of International Games Week. The British Library Knowledge Centre is situated in Central London, minutes away from Kings Cross, St. Pancras and Euston Stations. AdventureX is run by volunteers Tom Cole (Scheduling) Rebecca McCarthy (Social Media) and Alasdair Beckett-King (Fundraising). AdventureX was founded in 2011 by Mark Lovegrove, owner of development/publishing company Screen 7. AdventureX is a not-for-profit event. 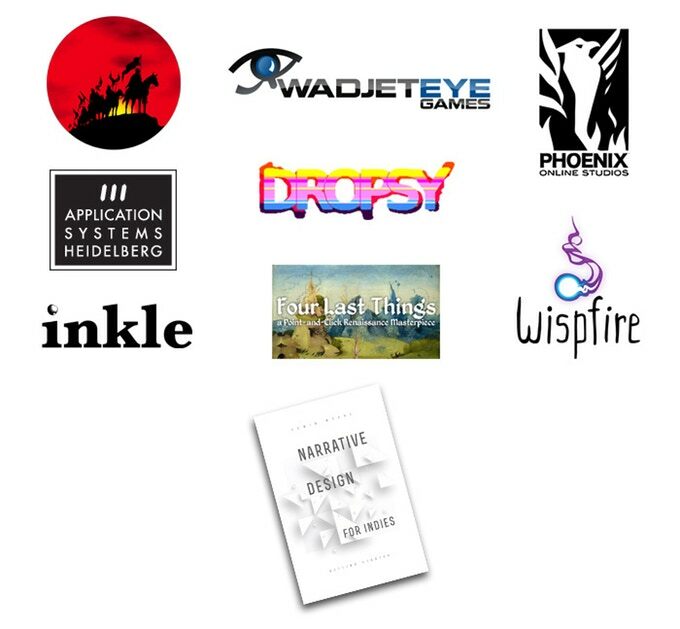 Our Kickstarter campaign is supported by Revolution Games, Wadjet Eye Games, Phoenix Online Studios, Application Systems Heidelberg, Jay Tholen, Inkle, Joe Richardson, Wispfire and Edwin McRae. Special thanks to Bitmap Books, the guys behind The Art of Point-and-Click Adventure Games book.